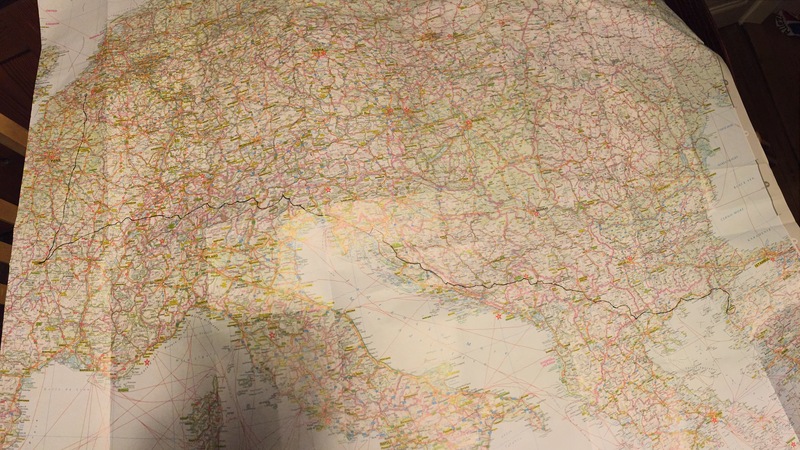 It took a while to draw the line on this huge scaled Europe map, but yes, it did work out. Can you see the black line from the top left to the bottom right? Reaching the finish line without electronical support shall now be possible, not comfortable but possible. Ivan, thanks for your great planning help! Your spirit is on board!